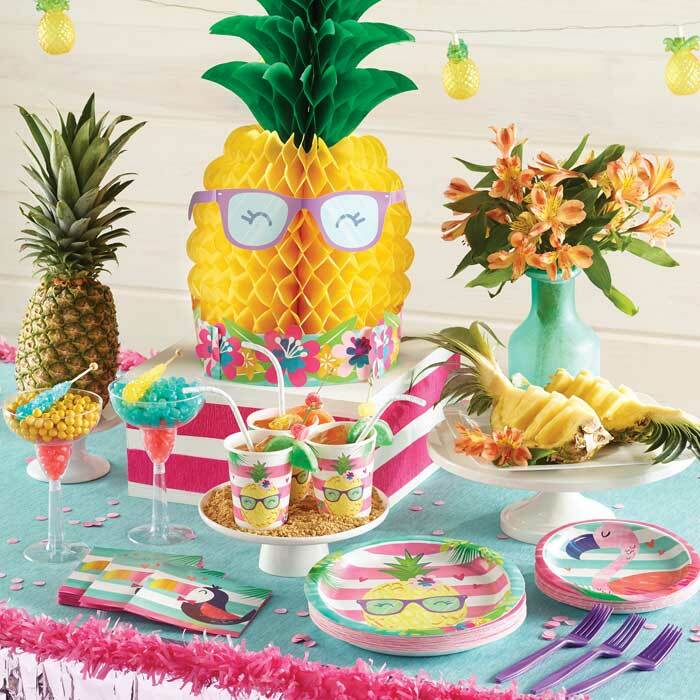 Our Pineapple 'N' Friends decor features a perky pineapple with sunglasses, along with its colorful flamingo and toucan buddies. This tropical trio is ready to celebrate birthdays in style, accented by bold stripes, hearts and bright colors. Pops of solid color tableware in light yellow and candy pink color line-up complete the tutti frutti look with fun flair. Pineapple N Friends Plastic Tablecover 54" x 102"